Get some insight on the newest features in IBM MobileFirst, including a significant update to how hybrid apps are developed. I’m happy to announce that on August 14th, we’ve released MobileFirst 7.1! 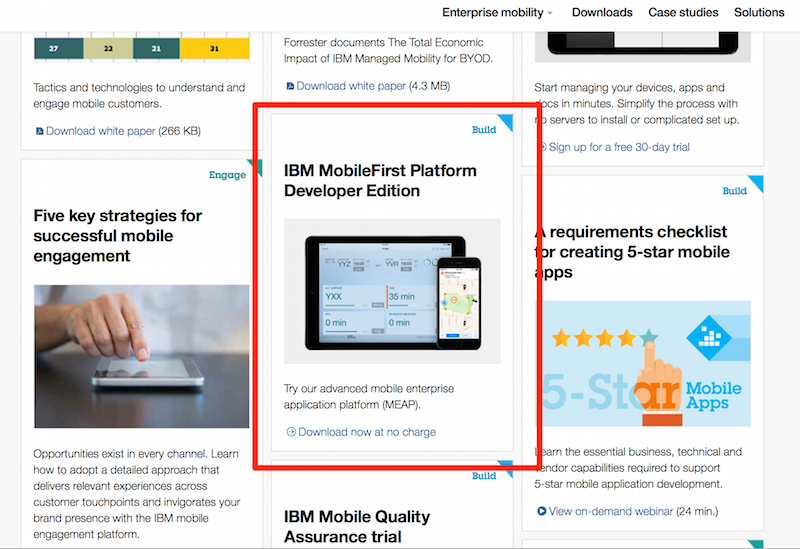 Note – that is not official IBM MobileFirst branding. Also note – this is why I’m not in branding. This release includes a pretty significant update to how hybrid apps are developed. You can read more about those updates here: Integrating IBM MobileFirst Platform Foundation SDK in Cordova applications. You can also peruse the Getting Started docs if you’ve never looked at MobileFirst at all. I gave a presentation on 7.1 yesterday and I plan on turning that content into a series of blog posts and videos… but not today. I’m flying home today so I’ll be in the air for most of the day.